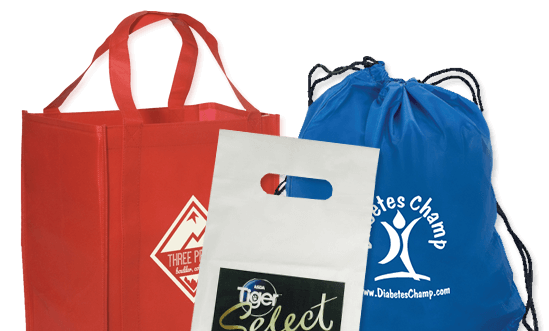 ABC Marketing offers the widest variety of tote bags, grocery totes, and backpacks of various types. We have bags for virtually any occasion such as canvas, cotton, paper, plastic and reuseable polyprop. Nine out of ten americans own a promotional tote bag that is seen by over 4,700 people with average useage every month. The bags we offer are made with care and quality precision, and guess what - they can be inexpensive as well! Browse through our online catalog for the perfect bag or tote or just to get some fresh ideas for your next marketing campaign.